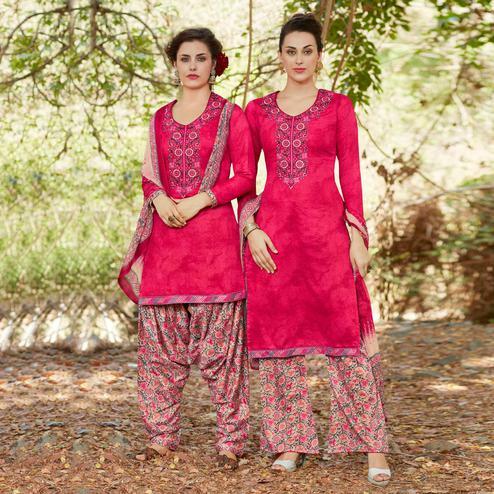 This festival season dress yourself in this pink straight cut style churidar suit which has been made out of georgette fabric and enriched with embroidery and stone work as shown. 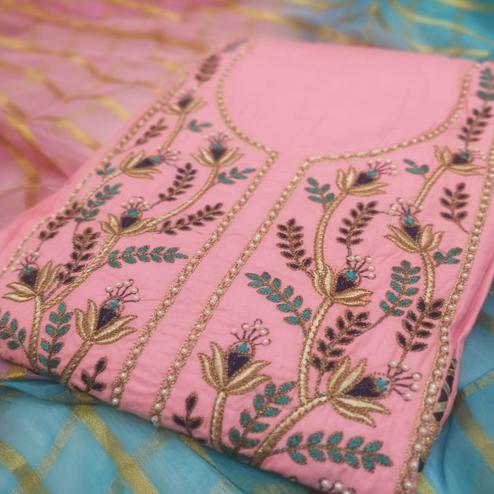 This semi stitched suit also comprises matching color santoon fabric bottom and brasso fabric self textured rani pink dupatta outlined with lace. Appropriate to wear for traditional functions, festivals and occasions. Buy this lovely suit now.